I just love holiday baking! Every year I try at least one new recipe. 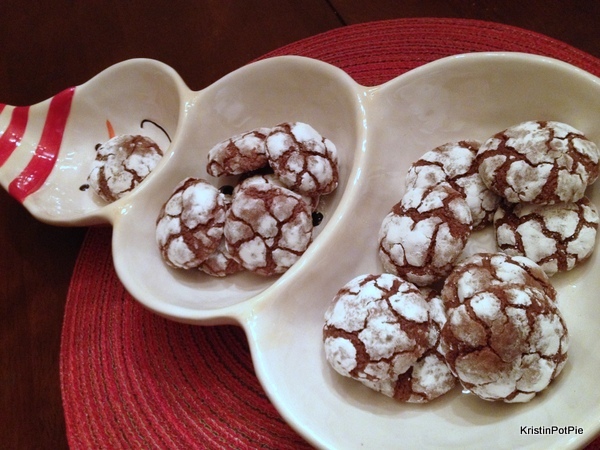 This year I tried a couple new recipes – but I also tried a new way of baking. 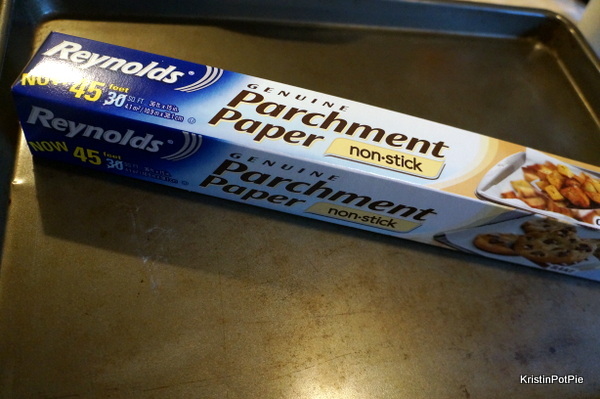 As part of the Allrecipes.com Allstars brand ambassador program that I belong to, Reynolds recently sent me some parchment paper to use in my cookie baking. 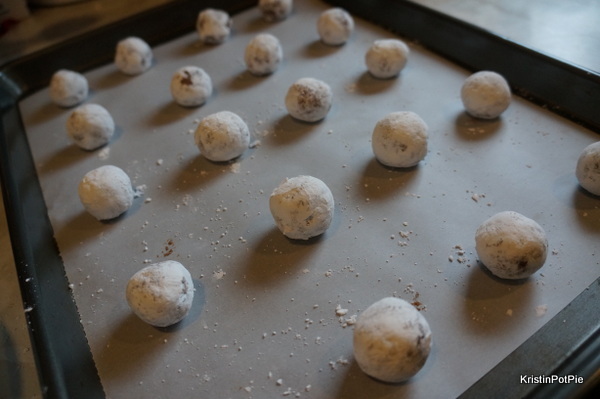 I should tell you that I have never understood the appeal of liners for cookie sheets – parchment paper or silicon mats – but then I have also never had any problems with cookies sticking to my baking sheets. What I do have are stained baking sheets from overuse. And without the joy of a dishwasher cookie pans are always tough to get clean. 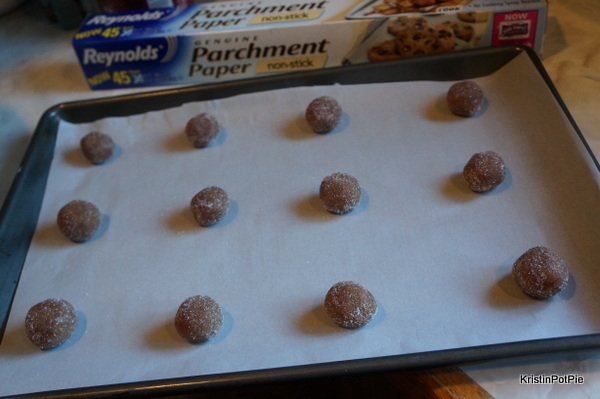 To try out the parchment paper, Reynolds gave us a choice of several recipes. 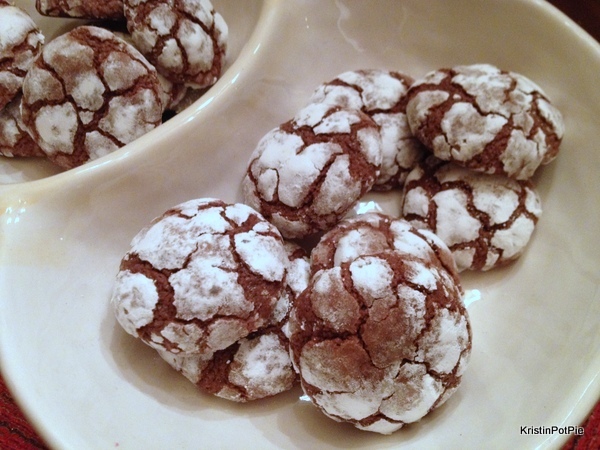 I am partial to chocolate cookies so the recipes I chose reflect that taste. 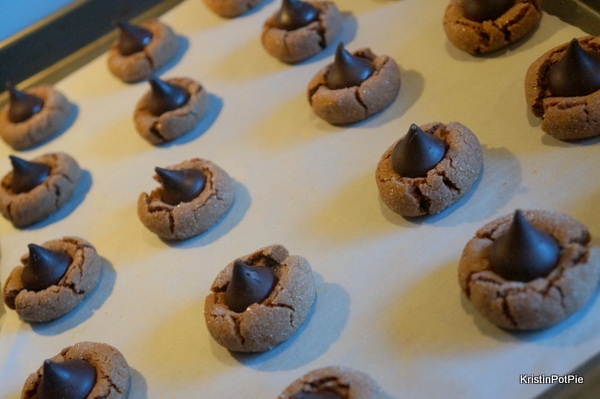 These cookies are fast and easy – so if you are looking for some last minute selections to leave out for the big guy or to just have some treats to serve up for guests who pop by in the next several days these are both great choices. 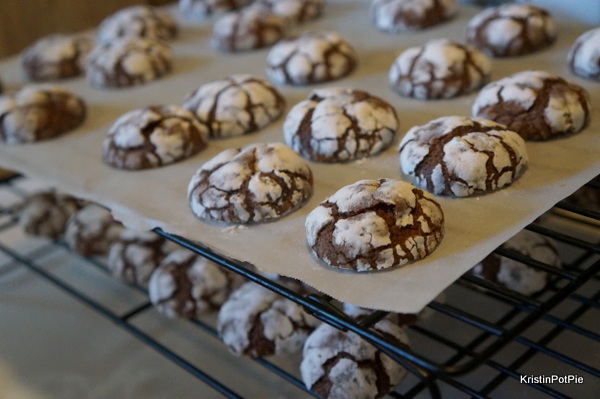 I love the combination of mint and chocolate (especially at the holidays) so these Chocolate Mint Crinkle Cookies were an obvious choice for me. And they are just like magic when they flatten up in the oven to create that crinkled look. These turned out a bit minty for me so I would probably cut the mint flavor in half if I made them again. But they are a wonderful choice for displaying on a platter at the holidays because they are so beautiful. 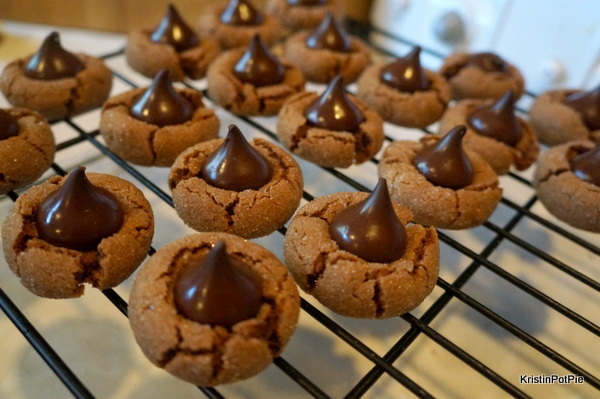 Peanut butter blossoms have always been my hands-down favorite cookie at the holidays and otherwise. 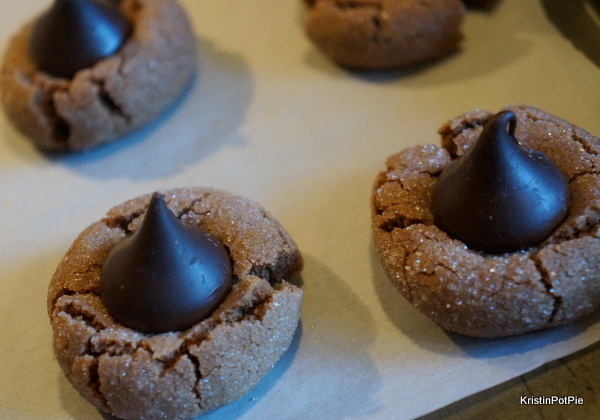 So when I saw these Chocolate Peanut Butter Blossom Cookies I just knew I had to make them. I was a bit skeptical with the added chocolate to the dough. I was afraid that the extra chocolate would overpower the peanut butter taste. I could not have been more wrong! They are just perfect! And the dark chocolate kiss (instead of the milk chocolate) is a welcome change since, personally, I much prefer the taste of dark to milk. I know I may be in the minority here but for me, the darker the chocolate the better. These are definitely a keeper! And the Reynolds parchment paper worked wonders! I am a convert! The cookies baked up perfectly and kept the trays so clean. And the sheets of parchment just slid right off the baking pan. What are you baking up this holiday season? 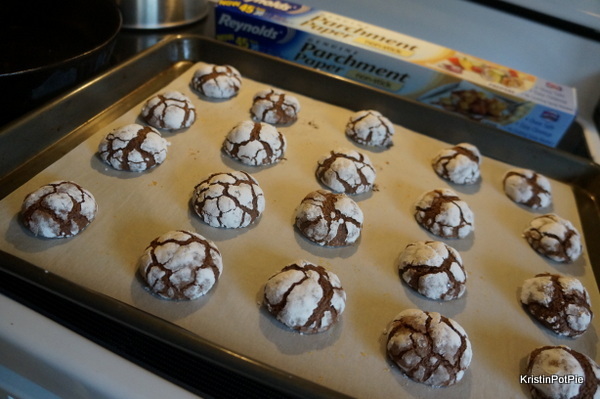 Do you use parchment paper when you bake? Disclosure: I am an Allrecipes Allstar brand ambassador (a voluntary position) and I’m not compensated for my work with Allrecipes.com. Products received from Reynolds were only used for experienced-based reviews on KristinPotPie. 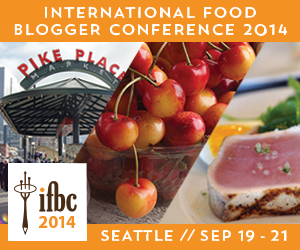 The reviews, content and opinions expressed in this blog are based purely on my own opinions. To learn more about the Allrecipes Allstars program visit, Allrecipes Allstars.